If a child was born outside marriage and only the father was a Finnish citizen when the child was born, a declaration of acknowledgement of paternity is required. An application to obtain a Finnish citizenship for the child can be filed after that by means of declaration. Please remember to register the birth of a Finnish citizen at the Local Register Office. The Finnish Immigration Service can grant Finnish citizenship on declaration or on application. If you reside abroad, you can submit a citizenship application for a child or adopted child, a declaration on recovery of citizenship, or an application for release from citizenship at a Finnish mission or honorary consulate. The declaration or application must always be submitted in person. The Finnish Immigration Service can start processing the matter only after you have paid the processing fee. You can find more detailed information about citizenship matters, legislation, processing fees and forms on the website of the Finnish Immigration Service. You will automatically lose your Finnish citizenship when you turn 22 years of age if you are a citizen of another state and you have not had a sufficient connection to Finland. The Finnish Immigration Service will notify you of the risk of losing your citizenship. 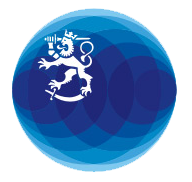 You can find more detailed information on the website of the Finnish Immigration Service. If you have multiple nationality, you must find out yourself what rights and obligations you have in your other home country. Missions of Finland abroad can serve only in matters concerning Finnish citizenship. If you have multiple nationality and you are staying in your other home country, you are treated in accordance with the local laws in the same way as persons who are citizens of that country. In such situations, the Ministry for Foreign Affairs of Finland normally has rather limited opportunities to provide consular assistance. Book an appointment with the nearest U.S. immigration authority (Homeland Security). Request a Certified True Copy of the U.S. Naturalization Document by presenting the original. Note: Notarized copy is not the same as a certified true copy. US Department of State, US Department of State Legalization Office in Washington, DC grants an Apostille certificate for the official copy of the Nationalization Decision. The mailing of the documents happens at the customer’s own risk. Fill out the DS-4194 form that can be found on our website. Send the certified true copy of the Naturalization Document and the payment to the US State Department in Washington DC. The address information and the price list are available on our website. 3) Send the document with the Apostille certificate either to your local Registry Office (Magistrate) or to the Finnish mission abroad.